When it comes to body care, there’s no time off for me. Each to their own but I don’t let the hair grow on my legs during the winter months and you’ll not find them dry and scaley either. I like to keep on top of my hair removal routine as I’ve talked about in numerous posts and I like to make sure that my body is exfoliated and moisturised on the regular too. To me, it is an act of self care and something that I enjoy taking a little time out of my week to do. I have certain beauty treatments that I complete daily like my skincare routine and moisturising, every few days like shaving and exfoliating and every week like a long soak in a warm bath during the colder months, although that’s not as frequent right now as I’m not too fond of the bath in my flat! Regardless, its important to me to soften my skin, slough away the dead skin cells and to rehydrate and nourish my skin to keep it looking youthful and glowing. When I do relax in the bath, I’ll always add something to it such as bath salts, a milk, oil or bubble bath. 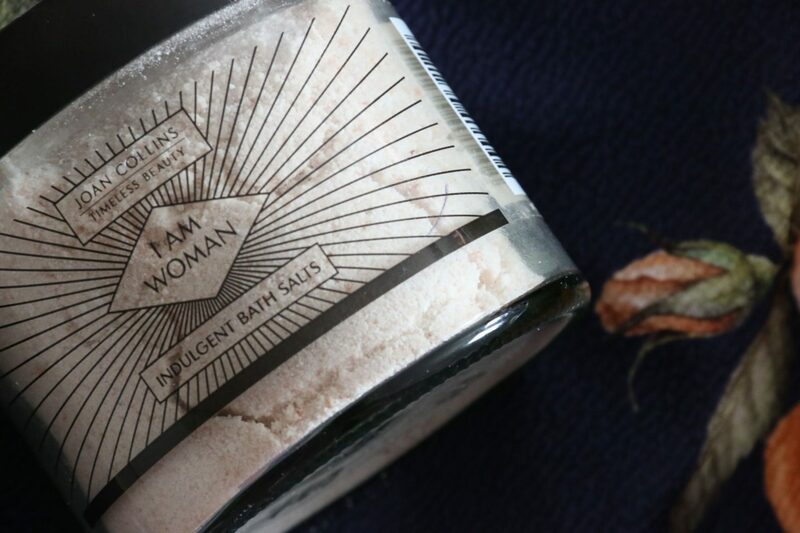 The Joan Collins I Am Woman Indulgent Bath Salts are a real treat for me to use in there. 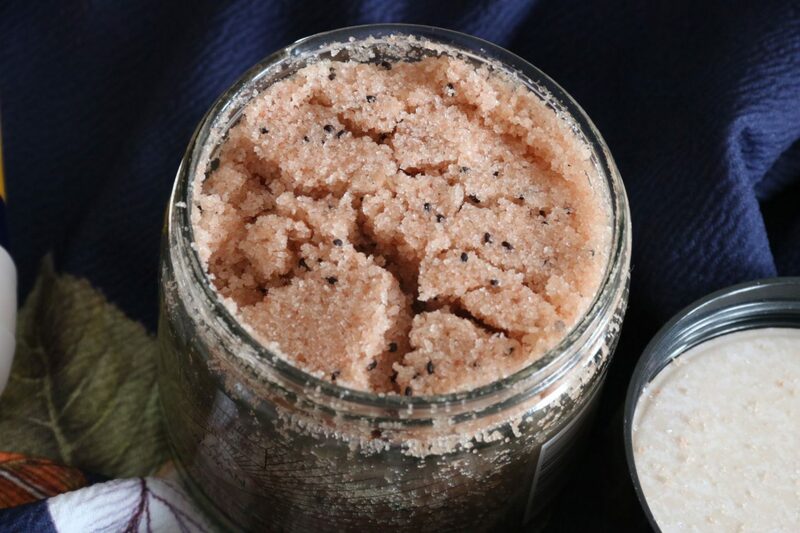 They contain a therapeutic combination of naturally pure Pink Himalayan and Jordanian Dead Sea salts that have more than 80 body beneficial minerals in them as well as nourishing Rice Bran, Grapeseed and Rosehip Seed oils. Not only do these combine to make a really gorgeous scent but they feel incredibly nourishing on the skin too. I pour a generous amount under the running warm tap and allow them to dissolve before stepping in, lying back and relaxing for a good 20 minutes. After which, I’ll stand up while still in the bath and move onto scrubbing my body. The bath salts themselves leave my skin feeling nourished but I want to slough away the dead skin and then moisturise so a scrub is the way to achieve that. A body scrub is best used with dry hands and damp skin I find. If you’re in the bath, stand up out of the water but remain in the bath to catch the excess product and if you’re in the shower, step away from the stream of water or better still, turn it off. This is so that you’re getting the most abrasive scrub working against the skin on your body rather than diluting the product and washing the majority of it away. 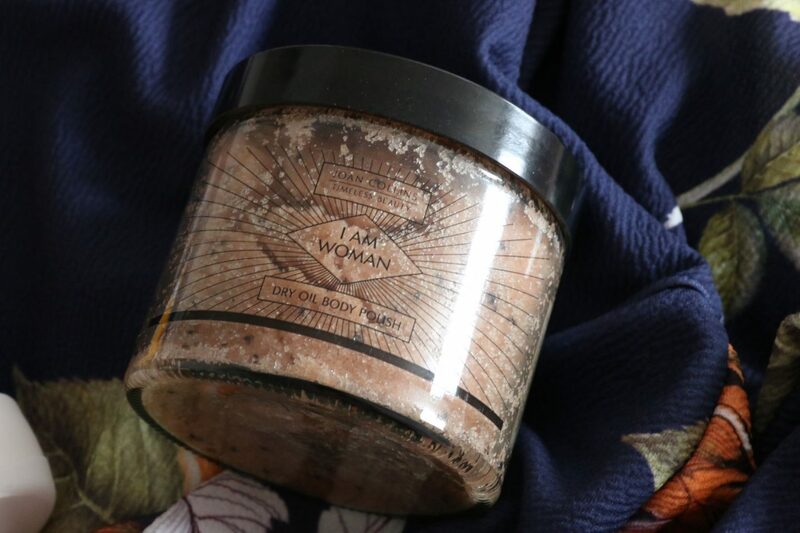 The Joan Collins I Am Woman Dry Oil Body Polish really is a stand out from all of the Joan Collins Timeless Beauty products I’ve tried over the years. I know you’ll have seen me use her loose powder so much in my Instagram LIVE videos that you could easily be forgiven for thinking that that is my favourite product but it is in actual fact the body polish because it is SO effective at what it does and I’ll definitely be repurchasing now that I’ve almost ran out. The Dry Oil Body Polish blends mineral rich Himalayan Salts, known for their natural purity and high mineral content, with 3 Plant Oils (Olive, Avocado and Golden Jojoba) and Kiwi Seeds which are a source of Vitamin C and help to keep the skin looking youthful. They smell absolutely incredible and do the most amazing job at exfoliating the skin. A little goes a long way and I find that I can really polish my skin to perfection, leaving it ridiculously smooth and silky soft. 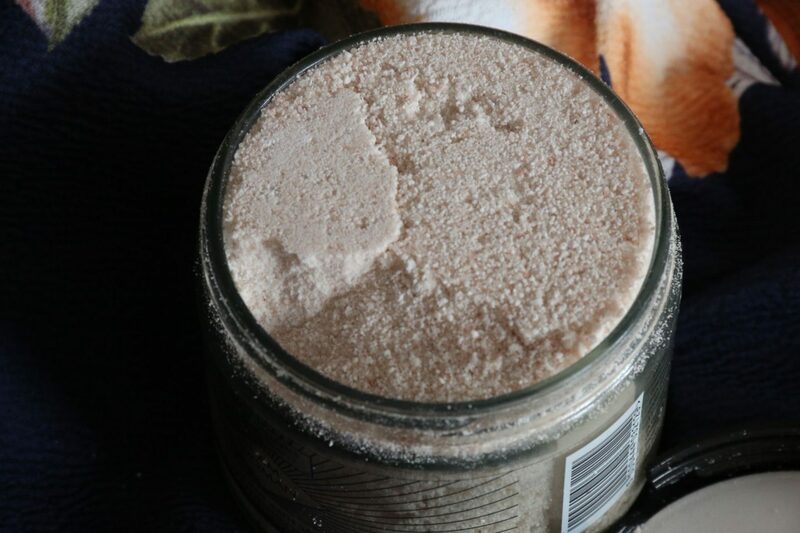 In a way, this scrub reminds me of one of my all time favourites; the Elemis Lime & Ginger Salt Glow, of which you can read my review here, although the ingredients are different, it is similar in that it is an abrasive salt base within an oil. It is highly effective without being scratchy and leaves the skin super smooth and thanks to the oil, deeply nourished. Plus, it washes away easily without leaving your bath or shower floor really slippy- bonus! Once out of the bath or shower, I get to moisturising my body. Drying off properly first is always a must and I’ll tend to blowdry my hair, style it and do my makeup while I wait for my body to properly dry in my towel or robe, then I’ll apply my body moisturiser. I pick my moisturiser depending on how dry my skin is feeling which usually depends on the time of year and what I’ve been up to. At the time that I took these images it was back in the autumn and I’d not long been back from holiday, hence the tan that’s still looking pretty bangin’ on my pins there. 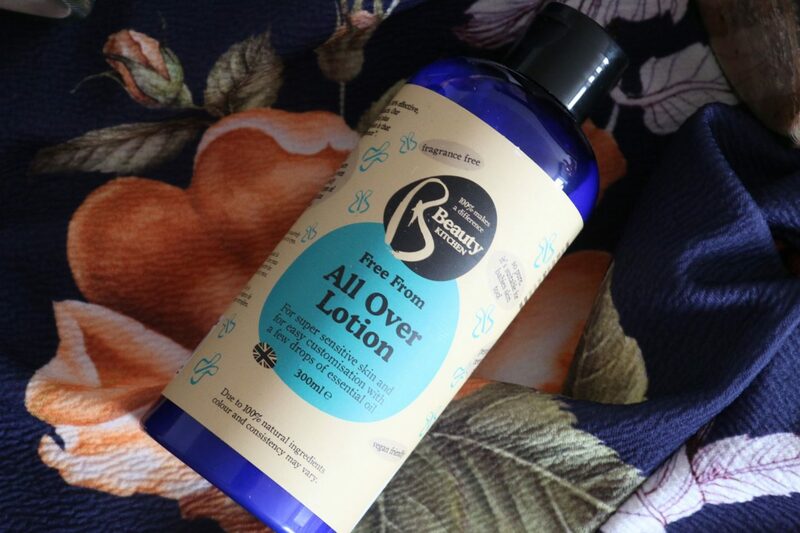 The body moisturiser that I’m using is the Beauty Kitchen Free From All Over Lotion (also available from Holland and Barrett) which is lightweight, quick to absorb and none greasy. It is ideal for everyday use but if you’re sunbathing on holiday or if its super cold weather like it is now then I’d suggest opting for something that’s quite a lot thicker than this one, or adding some body oil to it in your palms, smoothing your hands together and then applying the mix to your body. This body lotion is fragrance free so if you prefer your products to be unscented, want to share it with your partner or have sensitive skin that reacts to fragranced products, then this lotion could be for you. If I’m using a lighter body moisturiser like the lotion above, then I’ll go in with something more heavy duty on the areas that require a little more nourishment. 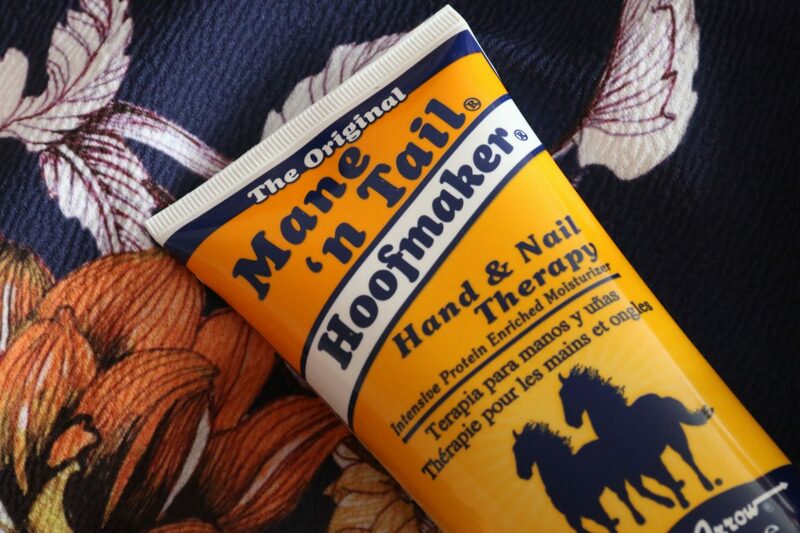 The Mane ‘n Tail Hoofmaker, Hand & Nail Therapy Moisturiser is great for this. I have reviewed their Color Protect Shampoo and Conditioner in the past, as well as the Mane ‘n Tail Original Shampoo and Conditioner which I really had mixed thoughts on… although the majority weren’t that positive but I actually really like this moisturiser. It is thicker than the Beauty Kitchen lotion and more intensive. It has a formula that’s enriched with protein that helps to nourish and moisturise the skin and strength and protect the nails to encourage them to be strong and healthy. You can use it all over the body in areas that you feel you need to; for me that’s my feet and heels (although NOTHING will beat the Clarins Foot Beauty Treatment Cream), knees, elbows, hands and wrists, where my skin is drier. It sinks in really quickly and doesn’t leave a greasy film on the skin like some hand creams do. It does a good job at softening the skin and leaving it feeling nourished. I’ll tend to scrub my body twice a week (every third day) but I’ll moisturise every day to keep my skin soft and supple. Looking after my skin by sloughing away the dead, dried out skin and smoothing the remaining skin keeps the skin on my body looking youthful, healthy and hydrated. I love wearing skirts and cropped trousers throughout the year and I’m often in a swimsuit at the pool for aquafit so taking care of my body in this way as part of a routine means that I always feel ready for any scenario and its something that gives me a little feel good boost from the outside in! I’d love to know what you do to exfoliate and moisturise your body, let me know in the comments what your routine is like!